African walnut (Asala or Awusa in Yoruba; Ukpa in Igbo; and Okhue or Okwe in Edo) belongs to the botanical family Euphorbiaceae. 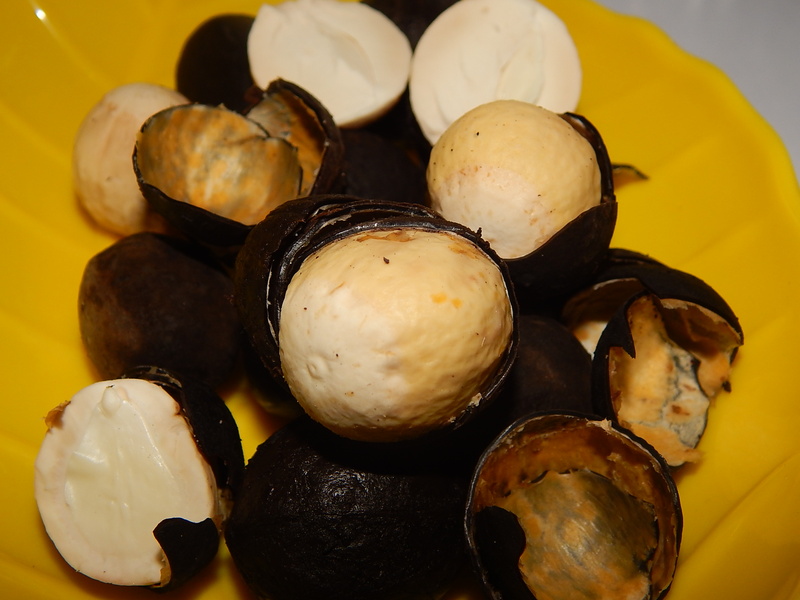 The African walnuts are characterized by a black thick wall that envelopes a white-cream seed. Its seed kernel is edible. When eaten raw they have a bitter flavour not unlike the kola nut and are considered to be tonic and aphrodisiac. We consume bits of walnut during the course of our everyday life in cakes, cookies, snacks etc. Asides appetite quenching, the African walnut is a highly versatile nut. It serves a number of other uses such as: medicine and health uses, furniture uses, dye etc. The awesome and amazing uses of this fruit includes; 1. Fertility and miscarriage. Studies that show that the African walnut tree are effective anti-microbial agents. In local ethnomedicine, they used as a male fertility agent; the leaves are used to improve fertility in male and that chewing the walnut improves sperm count. Eating around two handfuls of walnuts a day over a period of 12weeks will improve sperm health in young men. -They boost fertility, menstrual flow and the seeds are used to treat uterine fibroids. Chewing the walnuts helps prevent pregnancy miscarriage. Its also use 2 prevent mouuth odour … By chewing d nut.